Today’s modern vehicle audio systems are becoming increasingly more sophisticated and complex. PAC engineered AmpPRO to dramatically simplify the installation of upgraded amplifiers in data-bus controlled amplified sound systems. AmpPRO allows you to keep the original radio’s fit, finish, and features while giving you the freedom to improve the audio performance in record time! 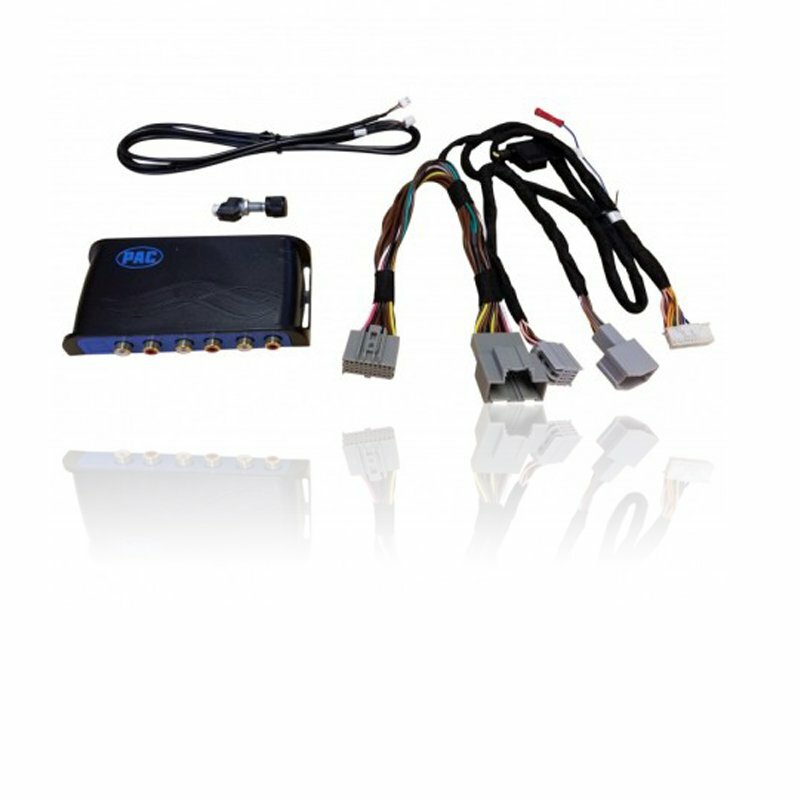 Must have infotainment system RPO code IO5 or IO6 to be compatible. To verify the “IO” RPO code on your vehicle, check the glove compartment for a silver sticker with these codes. If this sticker is not present, you must scan the QR code on the GM label found in the driver’s door jamb. The RPO codes will be listed in alphabetical order in either scenario.